“Exercise is king, and nutrition is queen – together they make a kingdom”. Well, we’ve got the fitness part covered for sure in the O Excuses Fitness System. But what most people end up ignoring is an equally (almost as equally) important part – that being to follow the RIGHT DIET! As they say, “you cannot outtrain a bad diet”. ‘Tis true, my friend. It’s something most people don’t like to hear, but it’s so true. We’ve all heard the stories about counting calories, “limiting” your food intake, eating “less of this, and more of that”, and so forth. The word “diet” automatically conjures up images of not eating what we like, cutting out on all indulgences – in a nutshell, “diet” for most people equates to “avoid”. And it is precisely because of this that many people fail to adhere to their diet – even those that have committed themselves to following a strict diet plan. Well, I’m here to tell you that following a good diet is NOT tough, and certainly not a chore as it’s made out to be. In fact, you CAN eat a great diet, and still ENJOY it – and not feel guilty about the occasional indulgence. It need not be complicated and it certainly isn’t hard to follow. About all you need is a will to improve your health, and a good exercise program to go along with the diet program, and you’re all set. 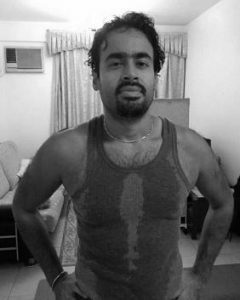 RESULTS gotten by Rahul Mookerjee as a DIRECT OUTCOME of following the 0 Excuses Fitness System IN CONJUNCTION with The Simple and Effective Diet! Results that you too, can get, my friend! I’m going to be honest here – I’m not going to promise you instant results or a six pack within so many days. While you may end up getting a six pack by doing what I tell you, that is not the purpose – looks are just that, LOOKS. Health is far more important. And finally, remember that anyone who gives you information that claims to “give you a six pack” within X number of days, or “transform you into a lean, mean machine”, is usually giving you nothing but a well rehearsed sales pitch – which is not even halfway true in most cases. Don’t believe me? Well, look at the average person that follows the latest fad diets that come down the pike – what sort of results do they get? More importantly, are they happy with those results? Do they achieve superior strength and lasting health by counting calories at every meal? The good news is though that you don’t have to deal with any of that. YOU don’t have to spend years trying to figure out what works in terms of diet. YOU don’t have to experiment with the latest fad diets out there, and be disappointed when they fail (as most do) and give up. YOU don’t have to count calories in every meal, and end up ruining the entire meal by worrying. And why? 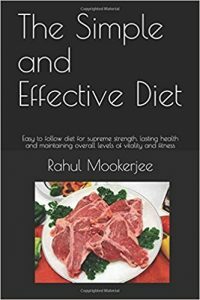 Because I’ve consolidated my knowledge into a simple, concise manual – The Simple and Effective Diet. This course is packed up with power packed, easy to digest information that anyone can implement, and more importantly, get great results from doing so. Most of all, it’s FUN to do what I tell you in this book – no more boring zero carb diets or counting calories, or any of that nonsense. But before we continue any further, let me quote the immortal Jack La Lanne one more time, my friend. How often to eat, and why the “commonly touted” advice on this doesn’t always work the best – and HAS NOT in my case (as well as several other super fit individuals). Learn about an often ignored part of your diet – and why doing so is detrimental to your overall health. And last – – but not least – – a lean and toned look – – the sort even the “six pack” guys would kill for – – with functional strength in SPADES to boot. Given the wealth of information in the course, I could easily charge you $30 or more for this course – but I’m not going to do so. Instead, all I’m asking you to do is make a $12.99 investment on this course, my friend. That’s right – less than 15 bucks!! That’s less than the price of a “large” fat laden pizza (which you should be avoiding anyway) – and less than two “meal deals” at Micky D’s (which you should be avoiding as well). This offer may not last for long, my friend, so jump on it NOW! The course is offered as a pdf file, so there are NO shipping and handling charges involved – and, you don’t have to wait for the course to physically ship to you!! Order your copy NOW – combine it with the 0 Excuses Fitness System – and watch your body transform itself before your VERY EYES.